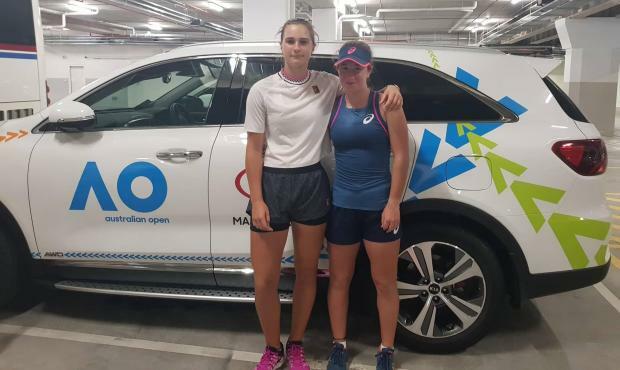 Marta Curtic (left) and Helene Pellicano reached the quarter-finals of the girls doubles at the Australian Open juniors. 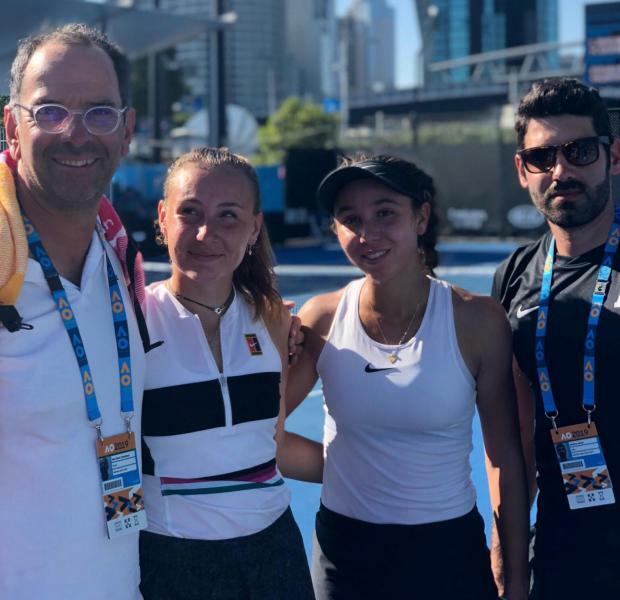 Helene Pellicano and Francesca Curmi are through to the quarter-finals of the Australian Open juniors with their respective partners after registering victories in their Last 16 matches in Melbourne on Tuesday. Pellicano and her doubles partner Marta Custic, of Spain, breezed past Russian duo Veronika Pepelyaeva and Avelina Sayfetdinova 6-2 6-4. Pellicano and Custic breezed through the first set but the Russians fought back in the second set when they broke back to level the match at 4-4. But Pellicano and Custic kept their composure to break back and seal their victory by holding serve. Pellicano and Custic face a tough challenge on Wednesday morning when they face American duo Chloe Beck and Emma Navarro. The Americans reached the last eight with a straight-sets victory over Japan’s Mana Kawaumura and Funa Kozaki 6-4 6-4. Earlier on Tuesday, Curmi and Loudmilla Bencheikh came back from a set down to beat Russia’s Maria Krupenina and Daria Snigur, of Ukraine, 5-7 7-6, 10-8. On Wednesday, Curmi and Bencheikh will be up against the winner of the second round match between Latvia’s Kamilla Bartone and France’s Giulia Morlet and Thai duo Thasaporn Naklo and Mananchaya Sawangkaew, the tournament’s second seeds. Francesca Curmi (second right) with Loudmilla Bencheikh and coach Matthew Asciak (right).